Gaming on a PC or a console isn’t cheap. You need to invest a lot for the ultimate PC or console gaming experience. With the power under the hood of smartphones increasing, you can experience some PC and Console games on your hand-held device. Some of them are direct ports, others have been rehashed. So here is our list of some PC and console games that you can play on your smartphone today. The original Doom 1 and 2 which released back in the 90’s can now be played on your Android smartphone. The controls have been remapped to suite the touchscreen and the experience is pure nostalgia. The game that introduced the world to bullet time can now be played on your smartphone. Once again, the controls have been remapped for the smartphone. This is one of the best PC games that can now be played on your smartphone. GTA III was the first game to change the top down perspective of the game to a third person perspective. GTA III can be enjoyed in all its glory on your smartphone. Considered as one of the best GTA games of all time, Vice City introduced you to a slick character and a variety of missions involving land, sea and air. Enjoy this game on your smartphone too. Customizable character, the ability to go to the gym and a new city to explore. This is yet another GTA game that you can enjoy on your smartphone on the go. This classic SEGA game can now be enjoyed on your smartphone. Barrel through traffic packed streets, hurdle off parking garages, and crazy combo your way to crazy money in a wild frantic race to scare up the most fares. In Crazy Taxi, time is money, and only the craziest cabbies come out victorious. What better game to play when you are on a taxi ride? The classic Mac and PC experience on your fingertips. Carmageddon is the original freeform driving sensation, where pedestrians (and cows!) equal points, and your opponents are a bunch of crazies in a twisted mix of automotive killing machines. 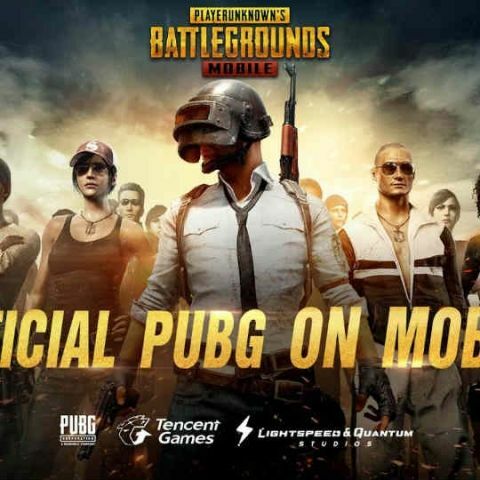 If playing online is more your thing, then you can consider PUBG. This third person action adventure takes you on a thrilling ride where the size of the map keeps getting small. It’s the only game where the winner, gets a chicken dinner. Leisure Suit Larry in the Land of the Lounge Lizards was first released in 1987 and became an international phenomenon. The game is a classic. The lovable loser Larry Laffer -- a 40-year-old virgin in pursuit of finding true love -- and risqué humor were unlike anything anyone had ever seen or played. Now you get to enjoy his exploits on your smartphone. Call it football, call it soccer the objective is the same – score more goals than your opponents. Train any player to superstar status, attack opponents, and keep coming back for daily content all season long. Another Rockstar Games on this list is Bully. The game brought with it original gameplay and humorous tongue-in-cheek storytelling. As mischievous 15-year-old Jimmy Hopkins you’ll navigate the social hierarchy of the corrupt and crumbling prep school, Bullworth Academy. Stand up to bullies, get picked on by teachers, beat the jocks at dodge ball, play pranks, win or lose the girl and survive a year in the worst school around. The perfect game for your journey to school? Rockstar seems to be dominating this list with its classic games. GTA China Town Wars brings the classic top down view this time around. Following his father's murder, Huang Lee has a simple mission: deliver an ancient sword to his Uncle Kenny to ensure his family retains control of the Triad gangs of Liberty City. Huang is a spoiled rich kid who expects everything to run smoothly, but his trip does not go exactly as planned. After being robbed and left to die, he will search for honor, riches and revenge in the most dangerous and morally bankrupt city in the world. What better way to play God than rule your private city? Be the hero of your very own city as you design and create a beautiful, bustling metropolis. Every decision is yours as your city gets larger and more intricate. Make smart choices to keep your citizens happy and your skyline growing. Then trade, chat, compete, and join clubs with fellow Mayors. Build your way to extraordinary with the most popular city builder on mobile! Sonic’s classic NES and SNES outings are available for you to enjoy on your smartphone. Take on the notorious Dr. Eggman who is back his old tricks, trying to find the seven Chaos Emeralds that will enable him to complete his ultimate weapon, the Death Egg. Take on the role of Sonic, Tails, and Knuckles to defeat him! If racing games is what you are looking for, then nothing gets better than NFS Most Wanted. The game will push the graphical prowess of your smartphone, and give you a thrilling ride. Telltales games are all about telling a story. You get the exact same experience of Telltales games on a mobile phone as you would on a PC or a gaming console. Telltales take on the story of Batman is unique engaging and gives you an in-depth look at the man behind the cowl. If strategy is what you are looking for, then you can check out XCOM Enemy Within. Enemy Within features the core gameplay of Enemy Unknown plus more exciting content. Check out the new soldiers, abilities, enemies, maps, missions, and multiplayer mode. Another story based game from the house of Telltale The Wolf Among Us is an intriguing story. As Bigby Wolf AKA “the big bad wolf” you will discover that a brutal, bloody murder is just a taste of things to come in a game series where your every decision can have enormous consequences. Another NES classic you can play Mega Man 1, 2, 3, 4, 5 and 6 from the comfort of your smartphone. The original Mega Man captivated users at the time of its release with its challenging gameplay and innovative concept of taking the weapons from your enemies, then using them to exploit weaknesses in the bad guys yet to come. The classic arcade fighting game now sits flush on your smartphone. You can choose from 32 legendary world warriors like Ryu, Ken, Chun-Li, Akuma and more. If you have a Bluetooth controller along with your smartphone, you can use that as well to enjoy this game.